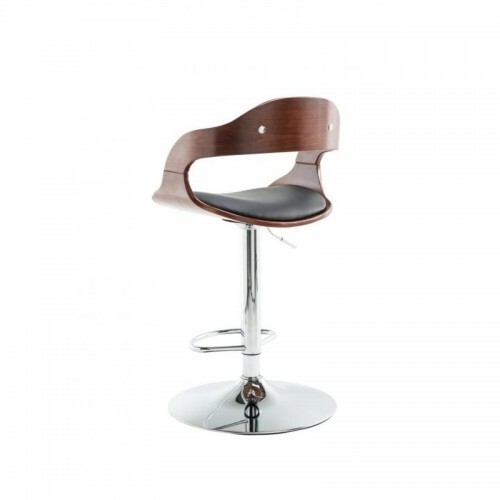 Strong, sturdy and stylish instantly spring to mind when looking at the Windsor Barstool by Alphason. The gorgeous wrap around walnut effect backrest is complemented by a cushioned black faux leather backrest and seat, set on a beautiful chrome base and footrest. 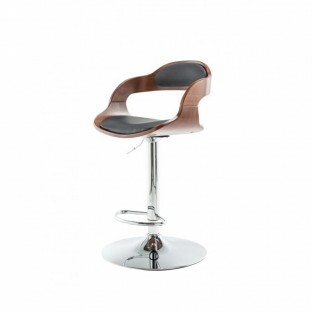 The Windsor has 360 turning and a height adjustable seat, ensuring it is a practical as it is stylish.